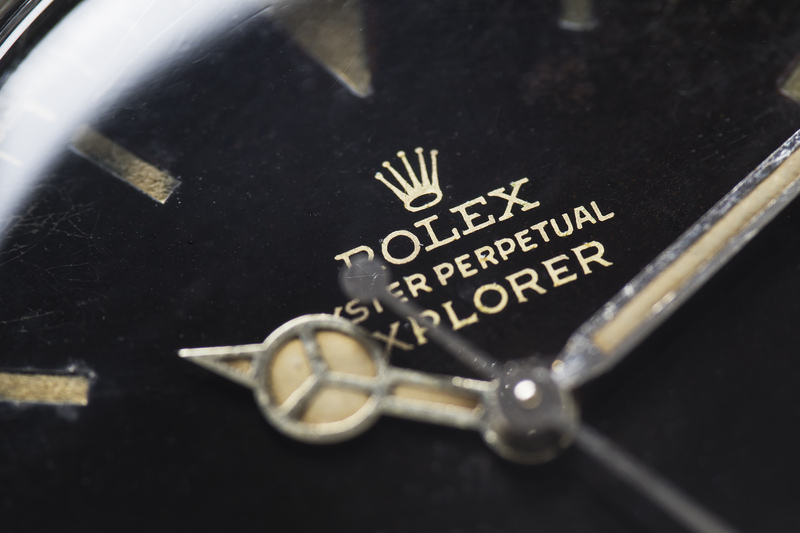 We are excited to offer you this early Rolex Explorer with a gorgeous and very desirable SWISS gilt dial. The gilt dial features the closed chapter-ring and exclamation dot, and shows a wonderful patina on all numbers and indexes, with hints of brown emerging through the surface of the dial. 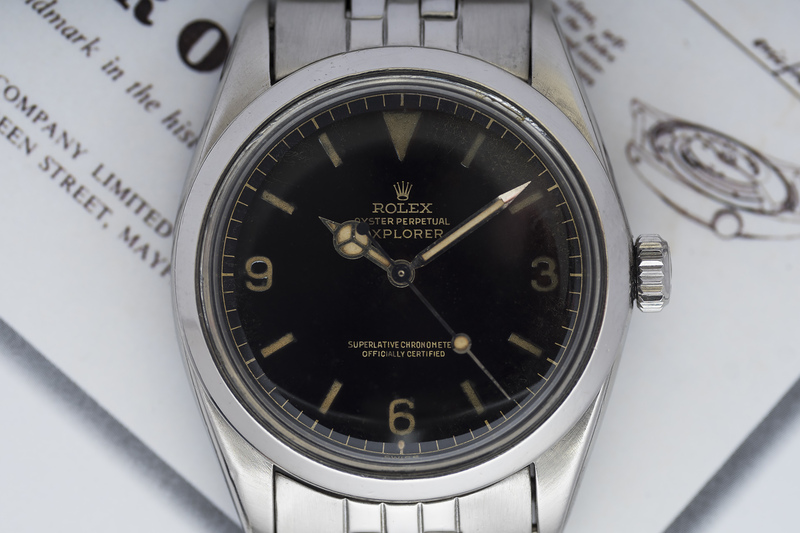 This stunning Explorer is from 1963 and thus from the very first year the 1016 was introduced to the market. This beauty has one of the desirable aforementioned gilt dials, giving the dial and entire watch that extra bit of luster and depth. 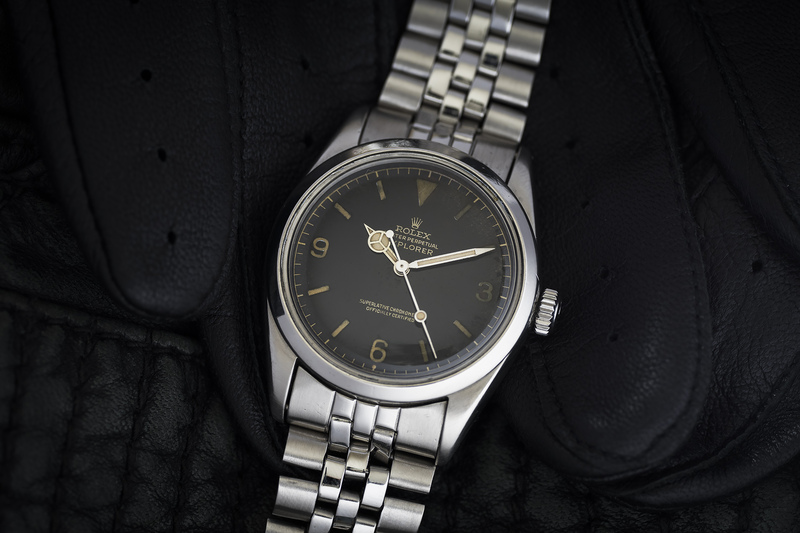 In addition, the dial features the rare ‘exclamation’ dot below the six o’clock marker and a closed chapter-ring on the edge of the dial, something that can only be found on dials from the early 1960s, before the transition to tritium markers and hands was introduced. The warm patinated radium indexes and hands are in a very good condition and show no signs of deterioration. As with most gilt dials, the lacquered finish does show crackle on the outer edge of the dial, but this is really nothing to be concerned about. 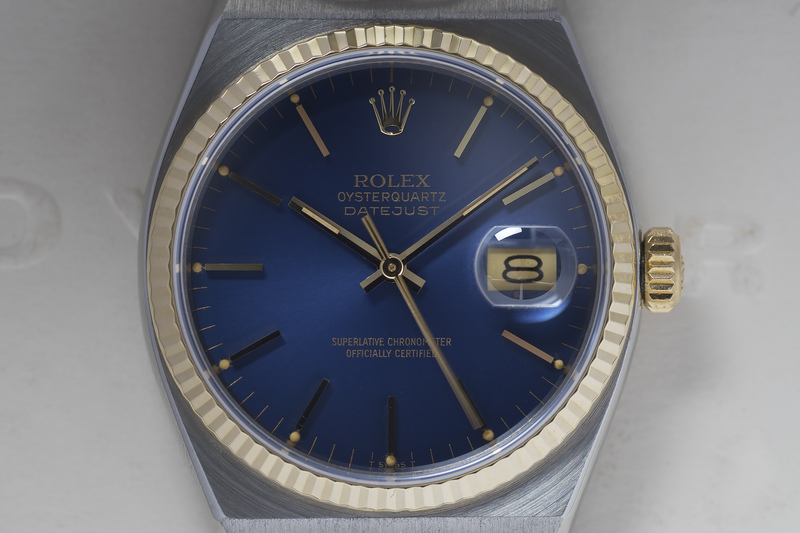 The golden closed chapter-ring is perfect and the ‘exclamation’ dot below the six o’clock position is thick and present (which is not always the case with similar dials). 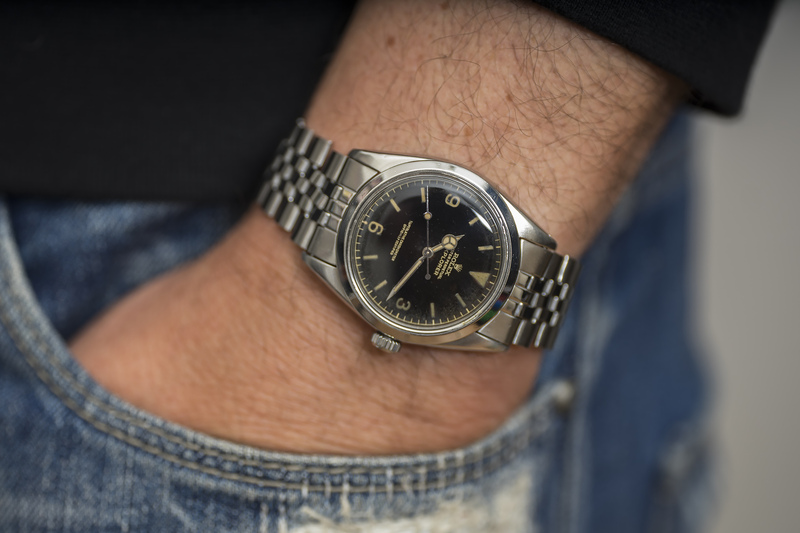 This understated gilt dial with 3-6-9 configuration has a dark brown Tropical flavour to it, coming alive in the sun and transforming the entire watch to an even warmer and more beautiful Rolex Explorer! The color of the dial combined with its patina, the glossy gilt and gold printing is truly out of this world! 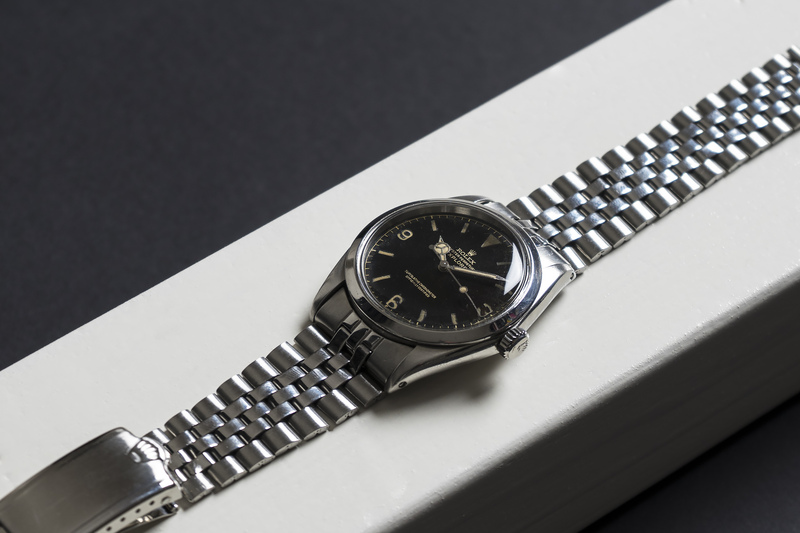 This Explorer I also features a thicker domed acrylic crystal, truly characteristic for these early 1016 watches and their tool watch specifications. 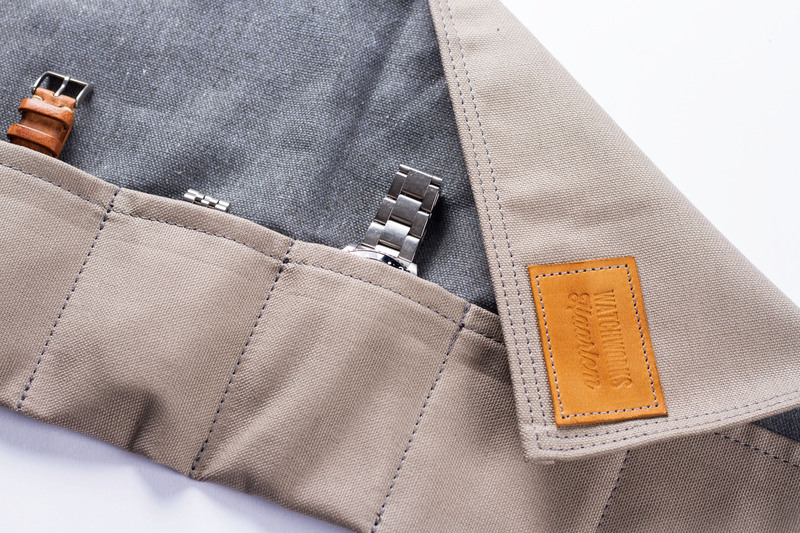 This 1016 is powered by calibre 1560 a self winding chronometer rated, non hacking movement, and has a case-back code of 1016 / I63 – matching with the entire watch. 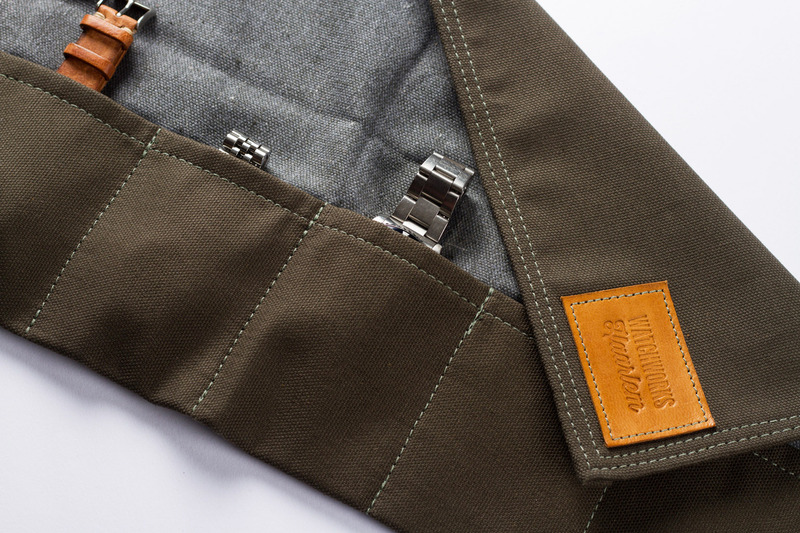 Both the serial and the reference are clearly visible between the lugs. 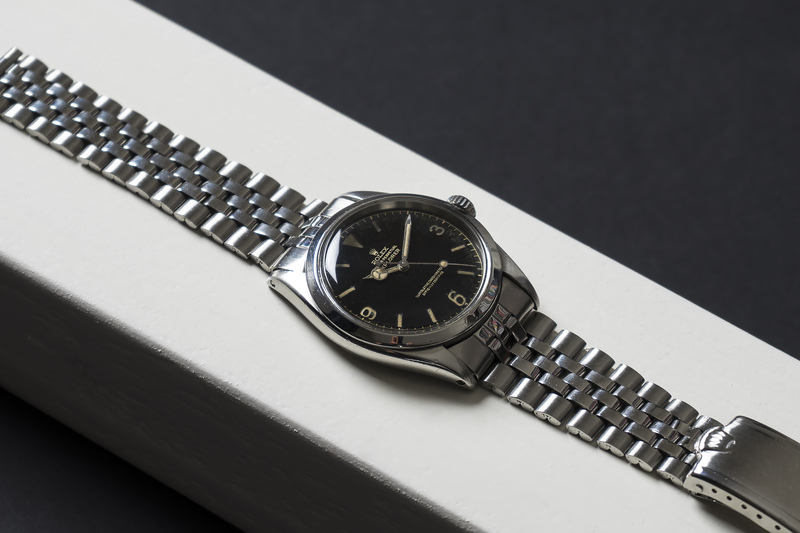 The 19mm folded Jubilee bracelet features 55 end-links and has a bracelet manufacturing stamp of 2/64 which roughly dates the bracelet back to the same period of production as the rest of the watch (its possible for a one to three year difference in production dates between Rolex cases and bracelets). Note that both case and bracelet have been previously polished. The movement of this killer 1016 Explorer with smooth and glossy gilt dial has been fully serviced by our watchmakers and will be available with a 12 month warranty.